The French know a little something about things that get better with age. Wine, cheese and yes, French doors! Just have a look at these beauties. 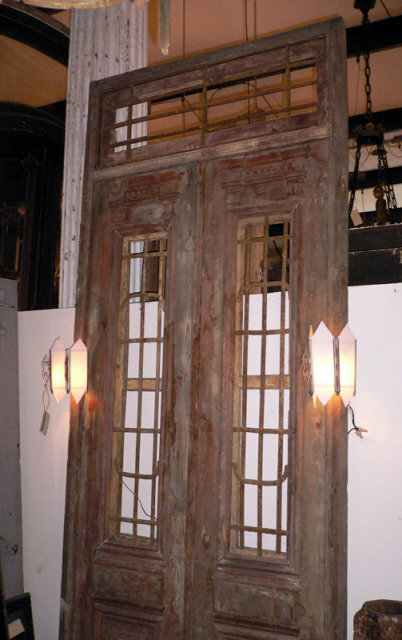 The pair of wooden French doors date back to the previous century but have gained incredible character over the years. I would hang them as is without any refinishing (while having a glass of wine and eating cheese).